Location : The mansion tour, Park Tour, 37540 Saint-Cyr-sur-Loire. Période : of 23 September 2 October 2016. Opening the exhibition 7:00 p.m. to 2:30 p.m..
Varnishing : the Saturday 24 September at 11:30. The opening M. Florin MERISANI, professor at the Municipal School of Saint-Cyr music, specialist cello, with colleagues and students, presented a program of Russian music. Soleil Eastern, messenger of contemporary painting of the countries of Eastern Europe in France and other EU countries. – Organization of art exhibitions with the works of renowned artists CEEC, arrived mostly in the maturity of their creation, but also with young talent, that the association has supported and promoted continuously. In those days, the association has organized over one hundred exhibitions, in prestigious areas, such as the founding Taylor Paris Montmartre, the Cité Internationale des Arts, Paris, Chapel Henri IV Poitiers, the kings of Majorca Castle of Collioure, Space of the Charente Maritime, the Pavillon Charles X of Saint-Cyr-sur-Loire, Mathurin the galleries and The Gateway Tours, in France, and abroad at the Embassy of Romania in the Netherlands, European Patent Office in The Hague Netherlands, and also in Brussels, Bratislava, Vienna, French Institute in Bucharest and the Romanian Parliament, and the list is not exhaustive. At these shows the public visitor and official culture appreciated, at fair value, talent and original artistic expression of the exhibiting artists. 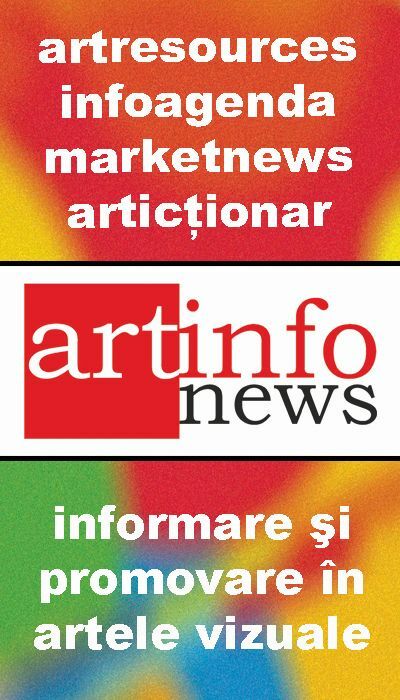 – Editions of art books and catalogs painting. During the most important exhibitions, the association has conducted presentation of catalogs of artists and works presented. In total the association has published 11 securities, including the prestigious album of painting "Artists Romanian and Russian painters in France» 2005, "Attendance of the Romanian contemporary painting in France with Soleil East" between 1994 – 2008, for the 1is volume and between 2009 – 2012, for the second. En 2015 the association published the album "Sun of the East twenty years of activity" with the presentation of 106 painters we received in France, during artist residencies. This volume was launched with great success at the Romanian Cultural Institute in Bucharest, in the presence of M. Radu Boroianu, president of the institution, Ms. Chantal Moreno Bucharest office of the Director of the International Francophone Organisation, HE Mr. François Saint-Paul France's ambassador in Bucharest, painters and a number of French and Bucharest public informed. It is now clear that the combination of Sun East has already completed several projects, and with, Francophonie. And finally, the last work "Kader Bekov, grace and beauty "will be presented at the" Slavic Soul "exhibition at the Manoir de la Tour, in late September 2016. All mentioned albums were presented to the French public, Romanian, Russian, etc., each in his time, with great interest from the public and the official culture, with the artists presented. – The artist residency. En 2001, the association organized the first session of the artist residency, Fondettes, Indre et Loire. The idea of ​​organizing the artists' residence is based on the dream of CEEC artists, spend a few moments on the footsteps of the great masters of all artistic directions, in France, since 20th century. Sun East was able to gather the necessary conditions for the construction of this project. 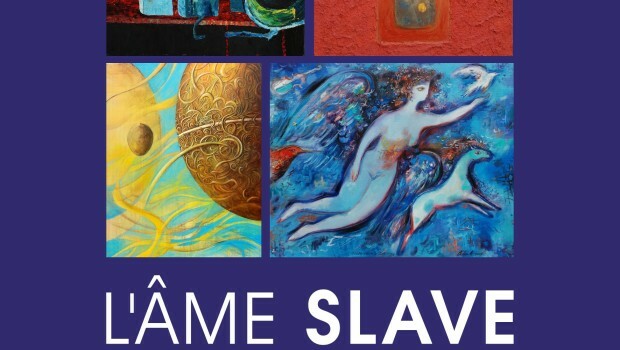 Pendant 14 years, between 2001 – 2014, the association has invited, hosted and answered all the necessities of life, for many 106 artists, Russian, Roumanie, Poland, CEEC, and native artists from these countries, established in France, Germany, Belgique et USA. The primary objective of the artists' residence was and is in continuation, immersing guests painters in French culture and the Francophonie. Several high places of French culture hosted artists, through the efforts of the association, to find great places, representative for French culture. The artist residency was held annually in two sessions : Spring on the Loire valley, Tours, Briare, Saint-Jean-de-Braye, Fondettes, Saint-Cyr-sur-Loire. The fall session took place particularly in Collioure, in the eastern Pyrenees, cradle and world capital of Fauvism. The turn of Collioure, other cities have hosted our artists : Saint-André, Elne, Font-Romeu and Barcarès. The reception and accommodation of artists was produced in partnership with the mentioned municipalities. At the end of each stay, the association organized a short exposure, in the city of residence, with the presentation of works created on site. The mass media have followed with attention and professionalism the presence of CEEC artists, in host cities. Each stay CEE artists in France, ended with a presence in the local or national press. Sun East and Russian painters, Polish and Bulgarian. The combination of Sun East has strong links with the painters of Slavic countries, their culture, painting and artistic expression. The association invited into France during artist residencies, presented their works in several exhibitions in Collioure, Briare, St Jean de Braye, Saint-Cyr-sur-Loire and particularly Tours. With each artist, we have more connections than friendly, based on mutual respect. Especially stays of these artists in France, Collioure, Briare and Saint-Cyr-sur-Loire, has enriched their knowledge of French culture and changed their palette. 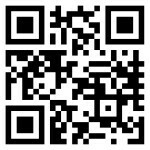 We will present artists, and one comment for each. eager AKUNOV, specialist linocut artist (linocut plate) then it customizes each work by applying color in watercolor. His subjects are mostly landscapes with historical monuments, but also the nature, animals and birds. Andreï BOGACHEV, former professor of painting at the Academy of Voronezh, works of classical and impressionist manner, with lots of color and lights. Nikolai Inozemtsev, outdoor painter, made all its kind works, in summer and also in winter, - 20 °. His technique is simple, he works in oil on thin cardboard. Leontie Gorbunov, specialist watercolor, landscapes and portraits, typical representative of critical realism. Received the most important distinction of the USSR, "Golden Pen" for his work. Aleksander Kurzanov, easel painter, conducted several cycles on the history of Russia, Moscow eternal capital of Russia. In France realized the cycle of old Collioure. Youri VNODCHENKO, former professor of painting, painter specializing in classical Russian landscape. Student of the School of Kiev, established in Voronezh. Kader Beková, has a very special journey. Studied at the Academy "Vasily Surikov" in Moscow, where he lived for ten years. Thereafter he returned to his country of origin, Kyrgyzstan. His artistic expression is a mixture of artistic traditions of his people, with current artistic orientations. Artem MIROLEVICH, native of Minsk, prepared from 20 years in New York, He studied painting in his country and America. Artist committed to the principles of Contemporary Art. Marina TSESARSKAYA, from Ukraine, Studies in Kiev and New York, where she lives since 20 years. Follower of Contemporary Art artistic expression. Iwo BIRKENMAJER, graduate of the Krakow Academy, speaks quite easily on the landscape, on contemporary art. Mira SKOCZEK, Also Krakow, as our Polish artists, works of contemporary art, particularly the new realism. Malgorzata BUCZEK, professor of tapestry at the Academy of Krakow B-A. Excellent expression on canvas, remarks to the French civilization impressions cycle, and the cycle of the Mayan culture Mexico. Magdalena SIEJKO, Surrealism and Contemporary Art. Present compositions in several panels. Currently working for a paint magazine in Krakow. Elzbeta zróbz, modern artistic expression, abstract and contemporary art. Four Bulgarian painters, dimitar GROZDANOV, Bogdan ALEKSANDROV, Aleksander MATEEV et Tsvetan TIMOTEEV, Sun East has known in a joint project, artist residency in Romania, with other artists from France, Germany, Sweden, in 2007. The project was funded by the Romanian State. Soleil Eastern, in his experience, was invited to lead this project. All four Bulgarian artists are contemporary style, and each presents his works in a personal message.